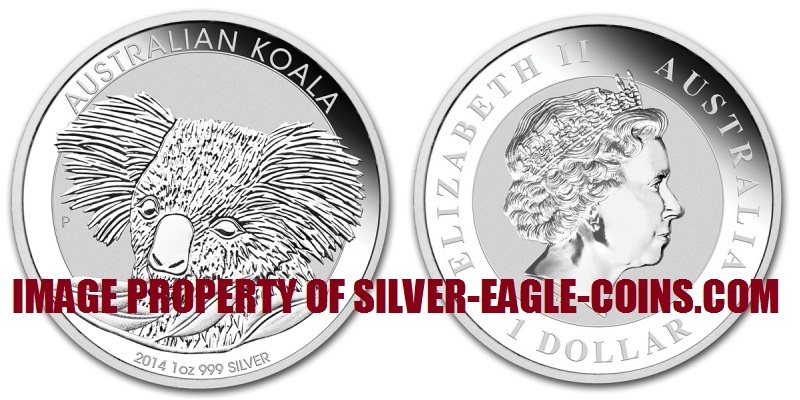 The Silver Eagle Coin Company is pleased to offer 2014 Australian Silver Koala Coins. The 2014 Silver Koala was the eighth coin issued in the popular Australian Silver Koala Series. Following the success of their other silver bullion coin series such as the Australian Kookaburras and Australian Lunar Series, the Perth Mint introduced this new silver bullion coin series in 2007, featuring their beloved koala, native only to Australia.